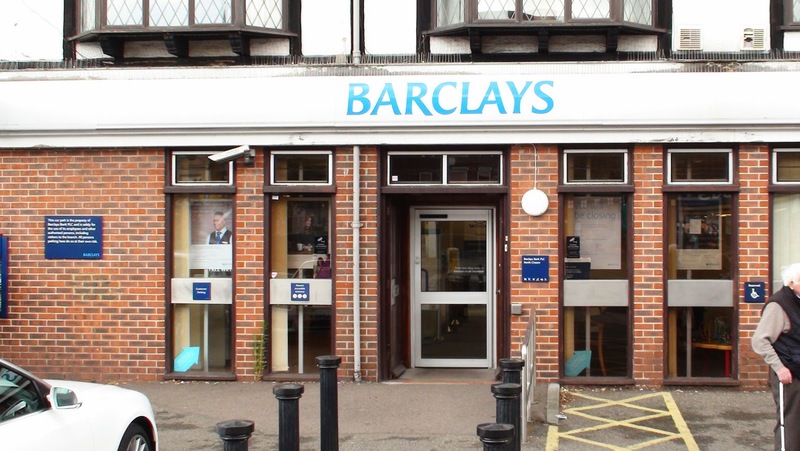 Time has been called at the Barclays Bank in North Cheam which is closing down on Friday 19th September. Customers have been receiving a letter (shown below) detailing the closure with addresses of other branches near by(ish) as well a reminding people they could use the post office around the corner for everyday transactions. One staff member told the blog that the branch just wasn't busy enough and reassuringly said that staff members were being relocated to nearby branches and that no one was losing their job. "At Barclays North Cheam branch, around two thirds of customers now regularly use alternative branches." However it is possibly also true that around two thirds of customers from alternative branches now regularly use the North Cheam branch too. It's the flexibility that is so useful. A local shop owner told the blog that in his opinion the branch was just as busy and anywhere else, it was just that it was mainly people with small accounts and the branch wasn't making enough money from loans etc. He said that most people usually went into other shops after using the bank and that if they didn't come for the bank, the other shops would lose the custom too. It would be another nail in the coffin of the North Cheam shops. If this holds a grain of truth then given that Victoria House is actually scheduled for demolition and redevelopment starting in August, it would be sensible to expect that the branch would gain a reasonable number of new customers once the flats start to fill up and that home loans would be needed to purchase the said flats. While they might not all necessarily pop immediately into the nearest bank to do so, being in a position to offer a slew of new home buyers financial products, and later on, re-mortgages etc., being on their doorstep must surely have its advantages. I wonder if Barclays have missed a trick here. I wonder also if the new local councillors have considered speaking to Barclays and even pointing this out to them for the sake of trying to preserve North Cheam trade. If not I would call upon them to do so. After all, such a conversation is a lot cheaper than redoing all the pavements.